PRIMEX at the helm of 1st Coral Triangle Initiative High Level Financial Roundtable and Marketplace | PRIMEX – Pacific Rim Innovation and Management Exponents, Inc.
PRIMEX organized the 1st Coral Triangle Initiative High Level Financial Roundtable and Marketplace held on 3 May 2012 during the 45th Annual ADB Meeting at the Philippine International Convention Center (PICC) in Manila. Staff and consultants from the ADB-assisted Regional Cooperation on Knowledge Management, Policy, and Institutional Support to the Coral Triangle Initiative (RETA 7307) were at the helm of a historic event which served as a venue for ministers of Conservation, Environment, Fisheries, and Science from the six Coral Triangle countries to rally donors to infuse fresh technical and financial support to protect the richest marine biodiversity area in the world. Datuk Seri Panglima Dr Maximus Ongkili, Chair of the CTI Council of Ministers thanked partners for their support and urged prospective funders and representatives from the private sector and finance ministries to expand the support base for the CTI. CT6 Ministers challenged to strengthen links with finance ministries, private sector, and donors. “You will also be the beneficiary of efforts to conserve the Coral Triangle marine as the initiatives do not only involve sustainability programs but also climate change adaptation,” said Ongkili, who is also Malaysia’s Science, Technology and Innovation Minister. Stephen Groff, ADB Vice President for Operations 2, said the roundtable was “an important first step” for the Coral Triangle Initiative. He posed a bigger challenge to the ministers from Malaysia, Indonesia, Papua New Guinea, Philippines, Solomon Islands and Timor-Leste to strengthen their links with their respective finance ministers so funding for key CTI projects will increase. Groff said that donor resources have steadily declined and were not likely to grow in the near future given the state of the world economy. “Donors are looking for results and CTI should demonstrate that it has on-the-ground results.” He asked the ministers to work together to leverage resources, opportunities, and partnerships and to get the private sector involved in the CTI. 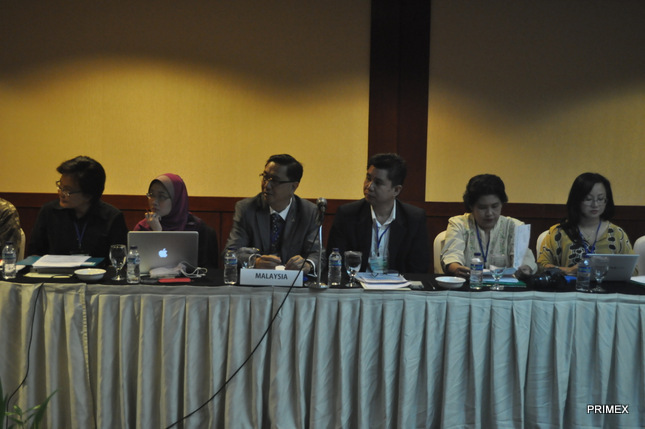 In response to this call, several of the Coral Triangle countries have already committed counterpart government funds for many of the key projects and activities that their National Coordinating Committees had proposed. ADB has been supporting the CTI through RETA 7307 which envisions the strengthened management of coastal and marine ecosystems in the Coral Triangle by strengthening regional policy dialogue and coordination among national governments and regional entities, in relation to cross-border issues directly affecting the sustainability of the economy of the six countries in the CT6 countries. Country representatives welcomed donors and prospective partners to their booths during the Marketplace networking session where they discussed their project portfolio. They handed out flyers about their proposals and the costing which they have been developing since last year through sustainable finance workshops. This participatory process increased ownership of the priority projects and activities which were drawn directly from their National Plans of Action. The Marketplace fostered a spirit of togetherness among the six countries as they learned about each others’ plans and their strategies on how to achieve them. National Coordinating Committees maximized the opportunity to build relationships with new and current partners.